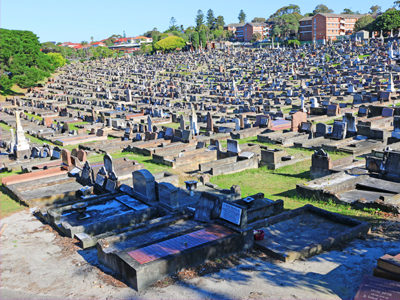 Randwick City Council operates a cemetery in South Coogee. Find answers to frequently asked questions about burial and ashes interment, see cemetery maps and learn about grave ownership. 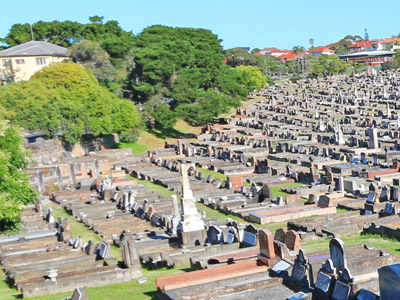 Randwick Cemetery in South Coogee is owned and managed by Council. Find answers to frequently asked questions about burial, a cemetery map and visiting hours. Learn how to arrange a burial or ashes interment at Randwick Cemetery. See fees & charges and read about the potential need for "right to burial" legal evidence. The ownership of a grave (exclusive rights of burial) in Randwick Cemetery can be transferred. 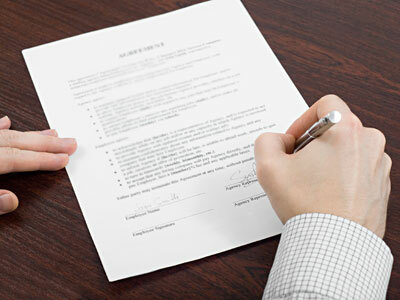 Read about the two types of ownership transfer and how the process works.